While Android has been widely deployed on smartphones globally and is almost universally considered a tremendous success, the platform and its close association with its namesake Rubin, who was himself nicknamed "Android" while working at Apple in the early 1990s, has inflicted more liability and expense on Google than it has strategic opportunity, revenues or profits. Evidence from multiple sources, including the design decisions behind Google's latest Chromecast product, support the idea that the company now sees more future potential and interest in investing in Chrome OS than in continuing to support Rubin's Android and defending the platform from ongoing intellectual property disputes, even if the company has no interest in publicizing those intentions. 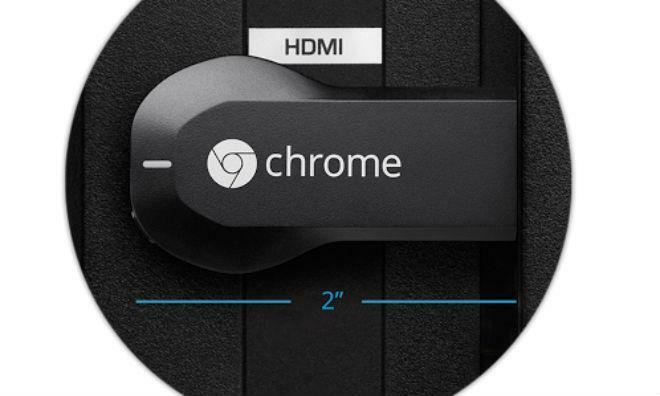 While Google presented its new Chromecast as running a scaled down Chrome OS, hackers examining the device have "concluded that its more Android than Chrome OS," adding, "to be specific, its actually a modified Google TV release, but with all of the Bionic / Dalvik stripped out and replaced with a single binary for Chromecast." Bionic is Google's replacement standard C library for Android, which replaces the GPL-licensed code in Linux to avoid entangling Android software in GPL-related licensing issues. It's also optimized for running on lower end devices than the mainstream version of Linux aimed at PCs and servers. The most obvious reason for Google to drop compatibility with Android apps on Chromecast is to be able to offer the device at a very low price using minimal hardware. Developers creating software for Android devices can target Dalvik with VM apps, or write native apps targeting the lower level Bionic. But neither of these are supported on Chromecast, unlike Google's previous attempts to target the living room with Google TV devices running specialized Android apps. The most obvious reason for Google to drop compatibility with Android apps on Chromecast is to be able to offer the device at a very low price using minimal hardware; its new "casting" feature that's so simple it doesn't need a user interface or the ability to run apps of its own. It also makes sense for Google to give the device "Chrome" branding rather than "Android" branding because while it requires the Chrome browser to "cast" WebRTC video streams to the device, it doesn't require an Android device to work, and has no need to associate itself with the Android ecosystem of smartphone apps it isn't designed to run. At the same time however, the core strategy behind Chromecast that led to its scaled down design clearly appears to have been a major, late in the game shift for Google's living room aspirations, one that coincided with the surprise ouster of Rubin this spring. 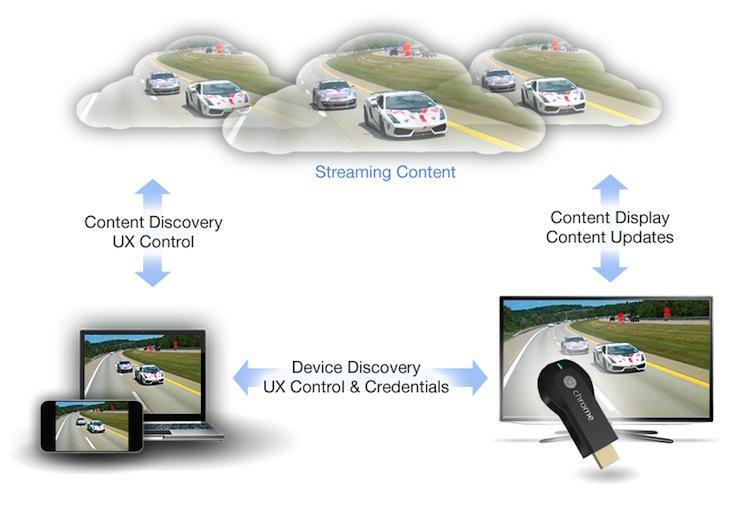 Hackers' discovery that "most of the Google TV code was reused" for Chromecast, specifically that "the bootloader, kernel, init scripts, binaries, are all from the Google TV," lends credence to a report by the Wall Street Journal that described an Android TV prototype developed under Andy Rubin and shown in private at CES at the beginning of this year. That project was reportedly abandoned this spring around the same time Rubin was demoted from running Google's Android platform. He was replaced by Sundar Pichai, who had previously worked on Google's Chrome browser and led Chrome OS development. Google's Chrome-related branding for the new device makes sense, now that Android is under the direction of Pichai rather than Rubin. But it also signals the beginning of an even more significant shift, one that explains why Google put Rubin's prototype Android TV product on ice in favor of a much cheaper (and more strategic than profitable) web streaming dongle, and why the company replaced Rubin himself as the leader of Android with Pichai, who represents Google's other platform: Chrome OS. Rubin joined Google in 2005 in the acquisition of the Android Inc. startup he had co-founded two years earlier. Little was originally known about Google's intentions for Android, but it appeared to be part of an initiative to promote its web services, including search and maps, across various mobile phone platforms. After Apple launched iPhone in 2007, the market position of existing smartphone makers Palm and BlackBerry along with the licensed mobile platforms of Microsoft and Symbian quickly eroded as Apple established itself as the market leader in smartphones. Apple's iPhone came packed with first party software integrating Google features including web search, maps and YouTube. Later that year, Google's announced plans to launch Android as an open source alternative to Microsoft's Windows Mobile and Nokia's Symbian for members of the Open Handset Alliance, initially led by HTC, Sony and Samsung. At the time, each was already building Windows Mobile and or Symbian devices. A company video (below) portrayed an intention to facilitate innovative new mobile products across the industry, rather than being an attempt to build an in-house "gPhone" as an answer to Apple's iPhone, as some rumors had suggested. As Apple's iPhone increasingly gained traction in the market, the overall conceptual design and features of Google's Android platform under Rubin's direction radically shifted to increasingly take on the appearance and functionally the iPhone, sparking tensions between Apple and Google. "We did not enter the search business. They entered the phone business," Jobs reportedly told employees at a company meeting in February of 2010. "Make no mistake; Google wants to kill the iPhone. We won't let them." Android's increasing competition with iOS began forcing Google's chairman Eric Schmidt to recuse himself from attending any Apple board meetings that discussed the company's mobile strategies. Schmidt had been a member of Apple's board since August 2006. In mid 2009, Google unveiled its plans to enter the netbook market with Chrome OS, with the expectation that the first batch of devices would ship by the middle of 2010. Shortly after that announcement, Apple's chief executive Steve Jobs released a statement saying, "as Google enters more of Apple's core businesses, with Android and now Chrome OS, Eric's effectiveness as an Apple Board member will be significantly diminished, since he will have to recuse himself from even larger portions of our meetings due to potential conflicts of interest. Therefore, we have mutually decided that now is the right time for Eric to resign his position on Apple's Board." Schmidt had apparently not been included in any of Apple's internal discussions related to iPad, which launched at the beginning of 2010. Its success essentially destroyed the once booming netbook category that Google's Chrome OS had originally targeted. 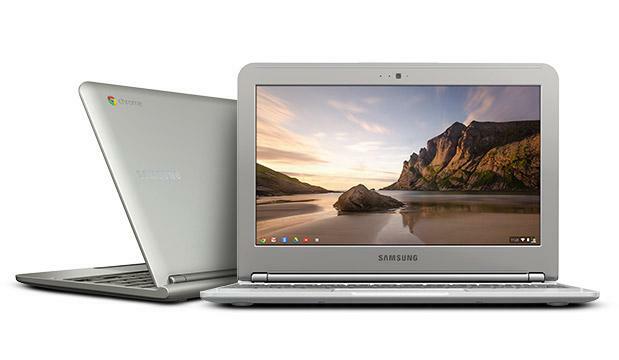 Google postponed the launch of Chrome OS netbooks to the end of 2010 and then again to the middle of 2011, when the first Chromebooks finally began appearing, initially from Samsung. 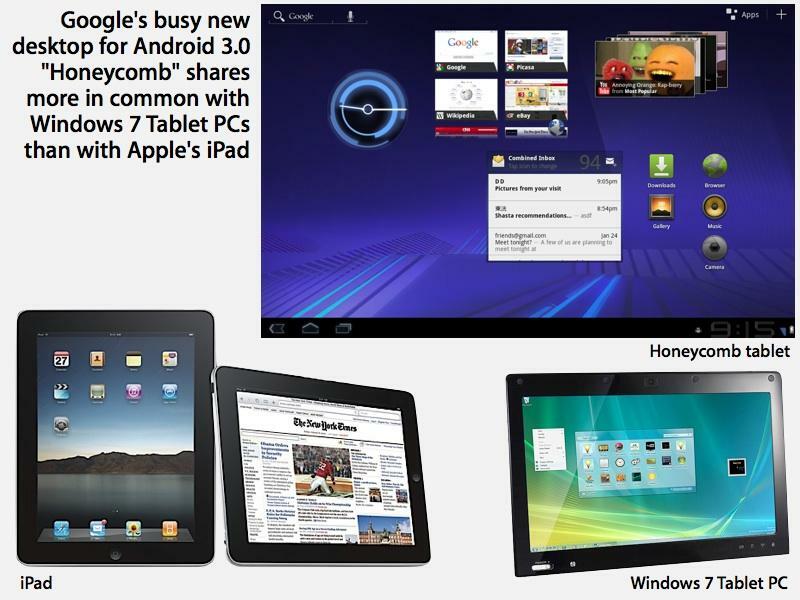 Without Chrome OS ready, Google didn't have any official response to the iPad for an entire year until early 2011, when It unveiled its separate Android 3.0 Honeycomb initiative aimed at taking over the iPad similar to how Android 2.0 had targeted the iPhone. While both Android and Chrome OS are built on top of a Linux core, they share little relatively little else. That makes the two platforms internal rivals, much the same way that Apple II and Macintosh teams rivaled for attention within Apple in the 1980s, Newton and Mac OS platforms fought it out in the 1990s, and two teams pit embedded iPod Linux vs. a scaled down OS X mobile platform prior to the launch of iPhone in the 2000s. By 2010, Android had become the only serious competitor to Apple's iOS, while Chrome OS hadn't even materialized as a product yet. In part, this was because much of Google's attention had shifted from Chrome OS-based netbooks to preparing its new Android 3.0 Honeycomb tablet initiative aimed at Apple's increasingly popular iPad. However, Google's future plans for Android would be dramatically reconfigured by unanticipated events that took root that year: the first was the budding series of problems that would result in the complete failure of Android 3.0 to support significant tablet sales for any of Google's hardware partners after its launch in 2011. 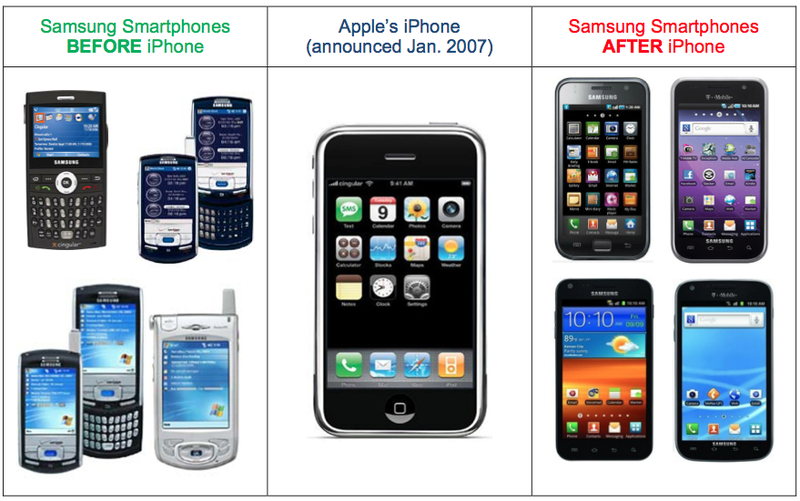 The second was the exact opposite problem: Samsung launched its own efforts to clone the iPhone 3GS and later the iPad, sparking intense legal tensions between it and Apple. By arming itself with a direct copy of Apple's iPhone, Samsung rapidly became the most successful Android licensee by far, eventually threatening Google's control over its own mobile platform. Samsung refused to heed Google's requests in 2010 not to launch Android 2.x tablets before the new Android 3.0 was released in early 2011. It also ignored Google's written advice that its Galaxy Tab products were too similar in design to Apple's iPad. Samsung also refused to negotiate any settlement with Apple regarding its iPhone and iPad infringement concerns, resulting in Apple's eventual decision to sue Samsung in early 2011. The failure of Android to benefit Google and its runaway success at Samsung grew publicly evident in 2011, as Android 3.x not only did nothing to boost tablet sales, but also took center stage in the flop of a second Google initiative aimed at home automation products: Android @ Home. While Android was growing so widespread in smartphones to the point of outnumbering the installed base of iPhones, the only company that seemed to be benefitting financially from that was Samsung. A series of Google's own Nexus-branded phones had failed to gain much traction in the market and the Open Handset Alliance was increasingly populated by companies that were actively losing lots of money on smartphones. Meanwhile, Apple's lawsuit against Samsung began revealing facts including the testimony that Google had only earned a total of $550 million from Android from its start in 2008 through 2011, effectively nothing at all compared to its existing web and network services. Google was also earning relatively little from Android Market, bringing in less than 7 percent of what Apple had earned over the same period in the App Store. Third party developers were already aware that Android Market wasn't performing well, as Google previously addressed "anxious app developers" early in 2011 assuring them that it was working to address the problem and that it was "not happy" with the slow app sales itself. Despite Android's vast distribution, Google was still earning 80 percent of its mobile revenues from iOS. 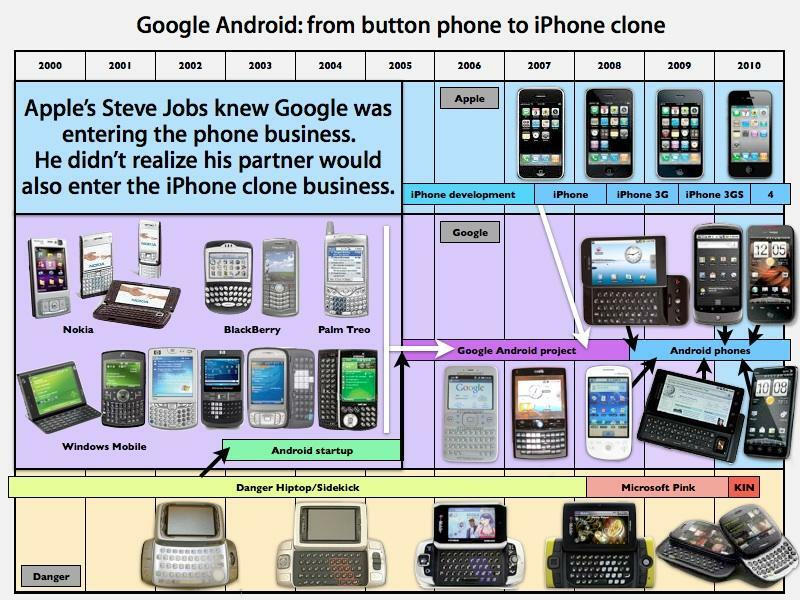 But the friction Android was generating between Google and Apple was endangering even that. Apple launched its own iAd mobile advertising platform in 2011 and began blocking by default web cookies "from third parties and advertisers" in Safari on the desktop, a move that threatened Google's core advertising business. When Google attempted to secretly work around the block, it was hit with negative publicity and the largest fine in the history of the Federal Trade Commission. Apple also began efforts to work with Google's search competitors, partnering with Baidu in China and adding Microsoft Bing and Yahoo search options to the Safari browser. At the end of 2011, Apple launched Siri, taking on Google web search and the company's voice-based services at the same time. For iOS 7, Apple has further outlined plans to have Siri provide users with Bing results by default. In 2012 Apple hit Google again with the surprise launch of its own Maps, the culmination of years of work and mapping-related acquisitions. Next year, Apple plans to roll out iOS in the Car, combining Siri and Maps to deliver an automotive product that, had Android never existed, would otherwise likely have been a huge partnership opportunity between Apple and Google. Google now has to enter the automotive market on its own. After failed attempts to bring Android into tablets, home automation and TV, that would appear to be a difficult task. In what appears to have been an attempt to counter Google's increasing dependance upon Samsung, Rubin pushed within Google for the acquisition of Motorola. In February 2012, The Verge cited Rubin as having told reporters that he had "sponsored" the deal. Rubin described the acquisition, which included 17,000 patents and 7,500 additional patent applications in progress, as a way to gain intellectual property leverage to protect the Android platform from lawsuits by Apple and Microsoft, stating in late 2011, "I see it as basically protecting the ecosystem and extending it as well." Industry observers have also described the Motorola purchase as an effort to prevent Android's only exclusive licensee from joining Microsoft in a Nokia-like licensing deal to adopt Windows Phone, and a way to prevent Motorola from using its patents against other Android licensees. Motorola's executives threatened to do both prior to being bought out by Google. In addition, Google presented its $12.5 billion acquisition plan as a way for Google to gain its own hardware expertise, stating that the deal would "supercharge Android, enhance competition, and offer wonderful user experiences." Shortly after the deal went through, Rubin told reporters he had "nothing to do with" Motorola and that, "I don't even know who's running it." Rubin also added, "I don't even know anything about their products, I haven't seen anything," and that, "they're going to continue building Motorola branded devices and it's going to be the same team doing it," and, "they're separate from me, and I'm going to continue to do my thing." One year after the acquisition, Google has had very little success in leveraging any discernible benefit from Motorola's patent portfolio. Additionally, this February The Verge cited Google's Chief Financial Officer Patrick Pichette as saying that products in Motorola's pipeline were "not really to the standards that what Google would say is 'wow,' innovative, transformative." He added, "We've inherited 18 months of pipeline that we actually have to drain right now, while we're actually building the next wave of innovation and product lines," and, "we have to go through this transition. These are not easy transitions." Last summer, in order to launch a Nexus-branded mini tablet, Google partnered with Asus rather that put its name on an existing Motorola product. Rubin's role in pushing for the acquisition of Motorola to 'protect and extend' Android has been cited as key to his removal as the head of Android in the leadership restructuring that occured in March. However, Rubin also played an earlier role in creating a separate potentially lethal problem for Android. 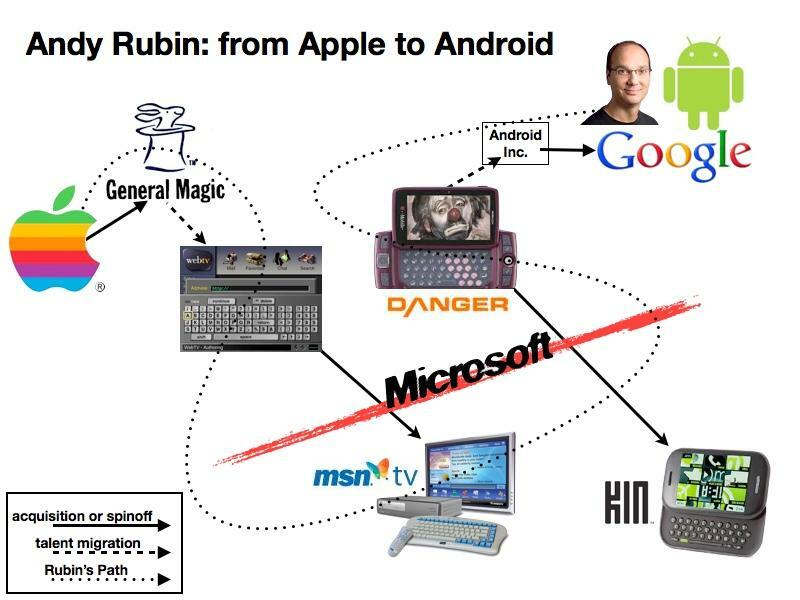 Prior to leading Android at Google and co-founding Android, Inc. before that, Rubin had co-founded its predecessor Danger, which had developed a smartphone messaging device based on the Java VM, albeit using legitimately licensed software from Sun. After Google acquired Android to launch its own foray into smartphones, Microsoft snapped up Danger in the Pink Project initiative that resulted in the KIN fiasco and involved a major cloud data loss scandal for Danger and T-Mobile. Prior to Danger, Rubin had worked at WebTV, a startup founded in 1995 largely by employees from Apple and the General Magic group Apple had earlier spun off into a separate company. WebTV was also acquired by Microsoft and essentially scuttled in a failed attempt to port the Sun-based service to hardware using Windows CE. And before that, Rubin had served as a low-level engineer at Apple from 1989 to 1992, where he worked on on technology that Apple now asserts was illegitimately appropriated for use in Google's Android, including the "'263 patent" (unrelated to H.263) it brought against HTC. U.S. Patent No. 6,343,263, entitled "Real-time signal processing system for serially transmitted data," describes "the use of real-time application programming interfaces (APIs) interposed between application software or driver software and the real-time processing subsystem." Patent expert Florian Mueller initially described the technology as foundational to Android and "extremely hard" to work around. Nearly a year after the patent was interpreted in court in Apple's favor at the beginning of 2012, HTC decided to stop fighting and settle, signing a ten-year patent licensing agreement with Apple last November over its use of Android. While Google contributes most of the efforts required to develop and support Android, it makes very little from it. 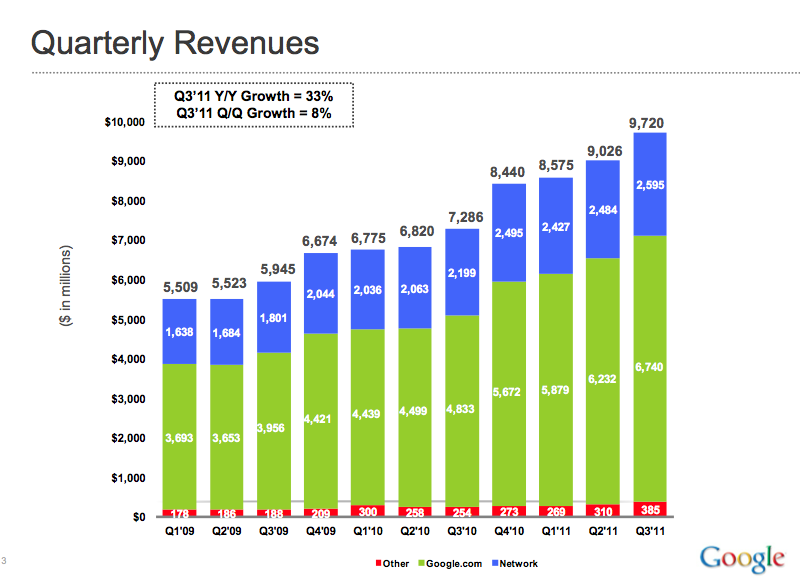 Apple now appears to be making more money on sales of HTC's Android smartphones than HTC does. Microsoft and Nokia have also brought claims against Android licensees; Microsoft now appears to be making more money on its Android licensing agreements than it makes selling its own Windows Phone platform. While Google contributes most of the efforts required to develop and support Android, it makes very little from it, almost certainly less than Microsoft does from licensing its IP to Android hardware makers. It clearly benefits less from Android than Samsung, even as it serves as essentially a free software development volunteer for the company. Google's own plan to monetize or at least defensively leverage Motorola patents has collapsed over the past year, leaving it with an unproductive subsidiary that's actively losing money: $342 million in the last quarter alone. Google also recorded another $116 million in "amortization expenses of acquisition-related intangible assets" related to Motorola against its own ledger. In other words, it counted that much additional depreciation of Motorola assets (such as expiring intellectual property) as a loss against its own income. Even ignoring those hits to Google's reported income, the company has recorded regular quarterly losses of $271 million, $353 million, $527 million and $233 million from its Motorola subsidiary since acquiring the company to "protect" Android. That's over $1.7 billion in total losses across just five quarters, on top of the $12.5 billion acquisition price. Google is now in the unenviable position of Microsoft, saddled with a mobile platform that isn't exactly printing money, but which it can't just throw away because its future depends on having some presence in mobile, given that its current revenues are tied to the shrinking desktop PC market. It's also not particularly helpful that so much of the growth occurring for Android is happening in China, where Google doesn't even really benefit from the web search traffic that its platform generates. It would certainly be helpful if Google had a mobile platform that wasn't tainted by the intellectual property claims rooted to the core of Android. While Chrome OS isn't quite ready to serve as a drop in replacement for Android, there's several hints pointing toward Google moving in that direction. 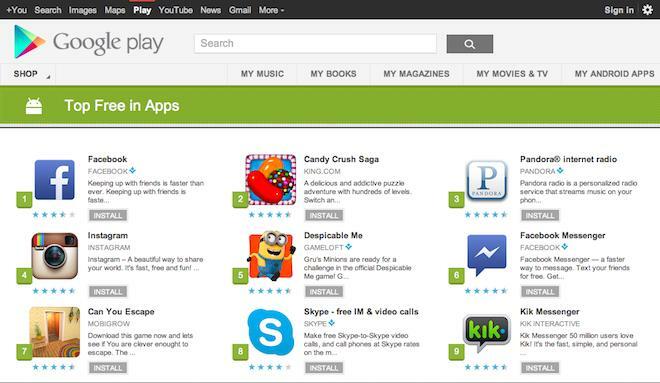 Last year, Google rebranded its Android Market as "Google Play," erasing direct association with Android. Additionally, Google has announced plans to replace its acquired Motorola's "Droid" branded hardware lineup under a new brand: "Moto X." That makes the Chromecast the third significant erasing of the Android brand from Google's current and future hardware trademarks. Perhaps due to fragmentation concerns, Google has also dramatically slowed the pace of new Android development. Google chowed though four desert named releases in its first year, followed by two years of two major releases, but has spent the entire last year stuck on Jelly Bean. The next major release, Android 5.0 Key Lime Pie, was rumored to appear last fall, then earlier this year, and now later this year, a release date slipping further than Chrome OS did back in 2009. The last minor update of Jelly Bean wasn't even released in time to show at the company's IO developer convention this summer, which regularly scheduled more sessions on Chrome than Android every day of the event. Slipping releases are never a good sign; just ask Apple about Copland and Gershwin in its beleaguered era of the 1990s, or Microsoft about Longhorn in the 2000s. The most substantial evidence supporting the idea Google doesn't plan to perpetually maintain two different operating environments is that it appointed the head of Chrome OS to replace the head of Android. Chrome OS is also philosophically closer to everything else Google does because its based on web standards; Rubin's rejiggered Java VM platform is an oddball product that simply doesn't mesh with everything else the company does, on top of having exposed Google to intellectual property infringement liabilities and inciting its closest partners to become competitors. Google constantly updates the components of Chrome OS just like its Chrome browser, or like its various web services and apps that are often updated behind the scenes so regularly that they lack any notion of a specific version number. In introducing Chromecast, Google also highlighted that it can work with any platform, rather than being tied to a specific device platform like Rubin's Nexus Q, which required an Android 2.x device. Google is certain to reaffirm its commitments to Android whenever necessary, but the writing on the wall appears very clear: Android's days appear to be numbered at Google.